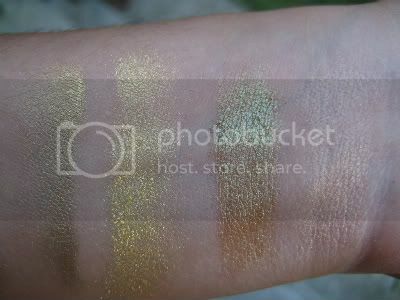 Ok, I have another swatch installment here. I'm not very happy with how these look in pictures. We've been cursed with cloudy skies pretty much every day this summer. So just imagine these a lil brighter to get the real life effect, lol! 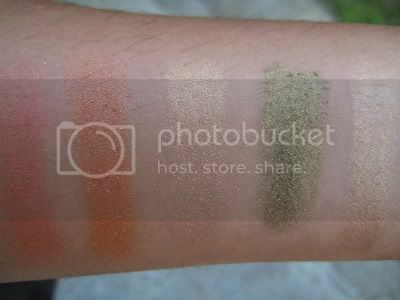 I now only have 3 more MAC eyeshadow/pigment swatch session left. 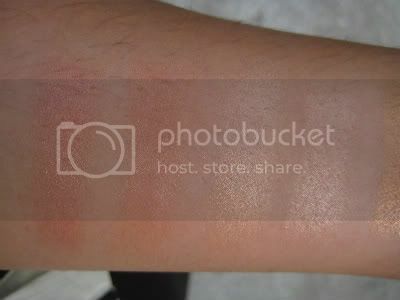 After that we'll be moving on to the lipsticks. 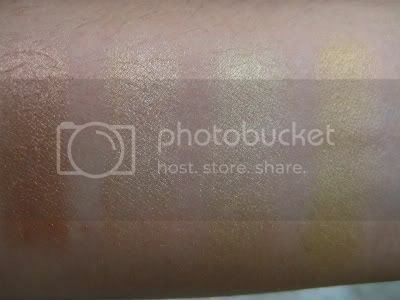 1 Response to "MAC Gold/Orange/Peach Swatches"
I'm looking for a yellow shade that will match shimmermoss and parfait amour... would georgeous gold be the right shade?